Here at Pig Pledge HQ we’ve been eagerly awaiting the arrival of The Chain by Ted Genoways. 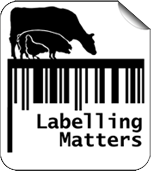 The Chain is an urgent warning about the hidden costs of the meat we eat, something we have been trying to draw attention to with our Pig Pledge campaign, which encourages consumers to choose a more sustainable food system through buying pork that supports sound practice. Here’s our review of Genoways’ formidable exposé of America’s industrialised meat system. In the mid-2000s, the workers at a meatpacking house in Austin began to manifest odd symptoms, those consistent with a neurological disorder the likes of which had not been seen before. When Ted Genoways, a fourth-generation Nebraskan with roots in the hog industry, started looking into this medical mystery, his book ‘The Chain’ was born. Far from being an investigation just of this neurological disorder, Genoways’ book delves deep into the meatpacking industry, uncovering compelling tales of corporate greed, union strikes, immigrant tensions, environmental catastrophe and an industry pushed to its limits. So how are an obscure neurological disorder and the meatpacking industry linked? The ominous answer? A contraption once found on meatpacking factory floors known as the ‘the brain machine’. Using compressed air to separate the brains of the pig from its skull, the brain machine collected vats of pink slurry which were then sold. The fine mist of blood and brains that hung in the air as the machine did its work, processing 20 heads a minute, ended up in the bodies of workers, making them ill and causing irreparable nerve damage. This morbid machine is emblematic of a larger trend; the ruthless pursuit of efficiency and profit in the meat industry, where every part of the animal is potential profit, and every minute the production line stands still is wasted money. ‘The Chain’ refers to the production line systems found on cut-and-kill floors that move at a relentless pace, ‘processing’ up to 1,300 pigs an hour. The speed at which the carcasses of pigs fly past workers mean that they have to work at extreme speeds, making injury commonplace as they wield their knives and saws. The production line stops for no one, indeed the opening passage of the book tells the story of a worker who lost her finger on a saw blade – as she was taken to hospital, her co-workers were told to clean up her blood and continue working – the flow of pigs never stopped. As we see in Genoways’ book, the increasing speed of production spawns a whole range of other issues. In order to keep up with the speed at which meat packing factories are run, the industry has begun to control all parts of the supply chain to match the factories in which the meat ends up. Pigs begin to be produced in animal factories at huge scales, run to tight production schedules, fed carefully controlled diets of pig feed and antibiotics to ensure that they are of a consistent size, breed and fat content. The safety of workers become second to the paramount concern of efficiency, as does quality, which is compromised as pigs fly by at a pace too quick for regulators to make their visual inspections. The story is one that has become familiar in recent years, one of the decline of the family farm, industrialisation, environmental decay and animal cruelty, but ‘The Chain’ recounts its narrative in startling detail. Meticulously researched, Genoways lays bare the ills of the meatpacking industry through interviews with industry line workers, farmers and politicians, and leaves us with a picture of an industry out of control. 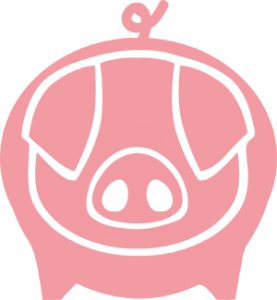 Genoways argues that it is not just a problem with the industry however, but one of our own complicity in its practices, where we vote our approval for the current system every time we buy cheap pork over pork produced using sound practices. 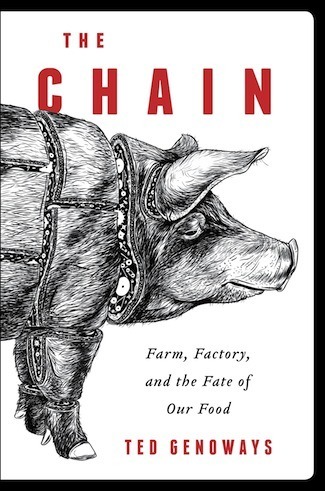 ‘The Chain’ may tell a bleak story of a dystopian industry, but Genoways book will inspire many to challenge the status quo and pay a little more for meat that is produced responsibly. If enough people start to show a concern for the ethics of meat production, the industry will respond. So this piece ends with a reassuring message, the future of the food industry is in our hands.